With just a minimal investment, you can start a corporate giveaways and souvenir items business. If you know how to do marketing and you have unique products, you can achieve great success in the business. What you need is a combination of determination and the right drive to become profitable. Corporate giveaways are given by a brand or company to potential or current customers to promote the company or their products, whereas souvenir items are given during special events like weddings or in holiday or vacation sites. There are some basic pointers you need to know to get started in this business. There is a wide spectrum of souvenir items and corporate giveaways you can consider, from small items such as ball pens and keychains to t-shirts, caps and gadgets. If you just starting out, don’t try to carry all the items, as it is better to focus on just a particular category of products you could source at a reasonable price. This will allow you to conserve your capital and become the first in your customers’ mind when they think of that particular type of item. You do not have to purchase expensive machines to mass produce souvenir items and corporate giveaways. All you need is a sturdy and reliable equipment to produce sufficient number of items for your business. If your target clients are companies, it would be a good idea to have a sales person who can visit your potential buyers’ offices. 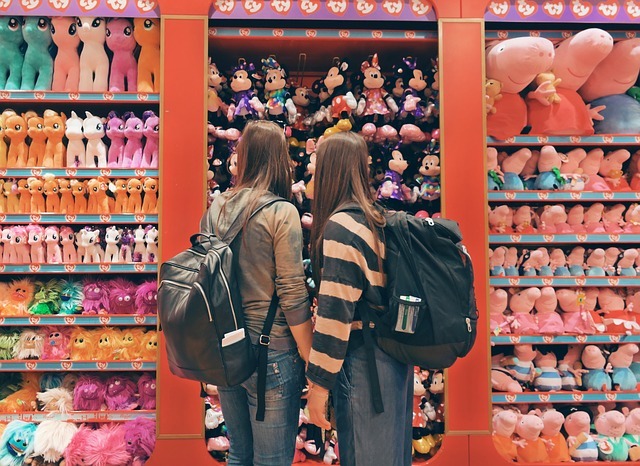 It might be also beneficial to get yourself involved in trade fairs, especially if the items you are offering are not usually available in the domestic market. When it comes to the souvenir products bought by individuals, online marketing can be your best bet. You can also tap your personal network in order to reach your potential buyers in an economical way. Take full advantage of your social media accounts or create quality blogs to get traffic to your business. Make sure that the pictures of your offerings are of high quality. It is a great idea to have professional photos of your products and items. You might not always be able to physically show your offerings to your clients. In this case, it pays more to rely on quality photos. You can rely on brochures and pictures, so your target clients can see your products. In such case, it is highly recommended that you use the service of a qualified, expert photographer who has experience in product shots. You may be tempted to do it yourself in attempt to save money, but this may lead to poor results. There are lots of possible gifts for the businessman. In choosing one, you must make sure that you will base it to the hobbies and interest of the receiver. Engraving oneâ€™s name is done for sentiment, marketing purposes, and functionality of the item. Engraved business gifts can be done to almost all items including watches, coffee cup, and photo frames. It is one way of reminding the receiver that you remember them.